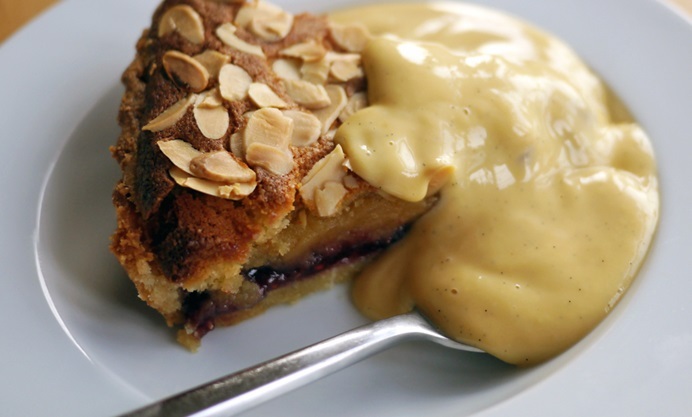 Victoria shares her gluten-free recipe for Bakewell tart, the classic British dessert with a concealed layer of raspberry jam and a buttery frangipane filling. Serve it by itself or with hot custard or clotted cream. 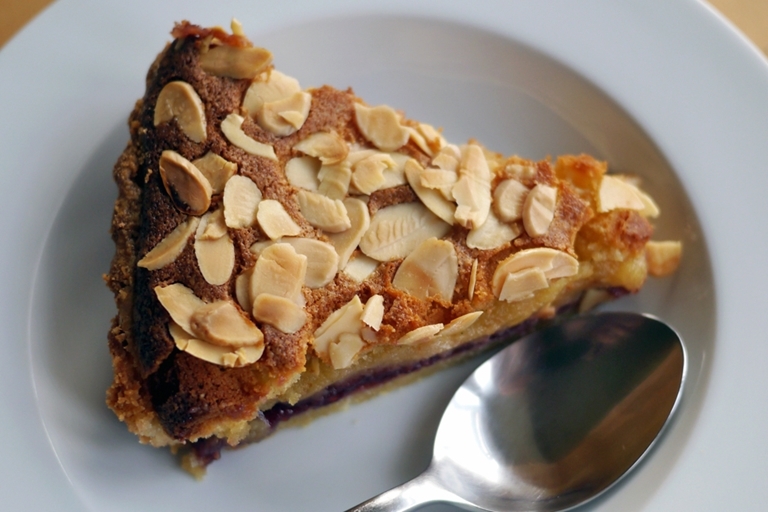 Bakewell tart is mostly almonds, so it struck me that it would be a fairly simple recipe to adapt for gluten dodgers (nut allergy sufferers: run for the hills!). I often put ground almonds in gluten-free pastry anyway, as it tends to make the end results more stable and less likely to shatter on unmoulding. It also makes it even richer, so arguably even more delicious. I like this tart best with the traditional raspberry jam, but I have used blackcurrant and gooseberry with great results. I would personally steer clear of anything lacking in acidity, like strawberry, and go for something with a bit more oomph to stand up to the richness of the almonds and butter, but do whatever you like, it's your tart. I like to serve it hot with custard or a generous blob of clotted cream, but it’s equally lovely served cold and eaten on the go.